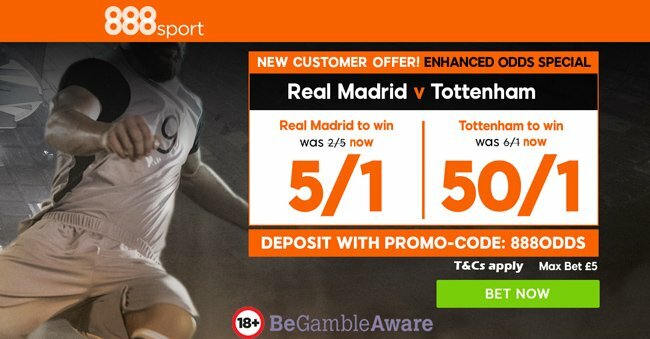 Real Madrid and Tottenham have won both the first two Champions League fixtures and both with the same scoreline - 3:0 over APOEL Nicosia and 3-1 over Borussia Dortmund. Real Madrid's Champions League record on home soil has been imperious in recent years: they have lost just two and drawn five of the last 45 games at the Bernabéu. Tottenham have been impressing on the road this season, winning all their 5 away matches so far! 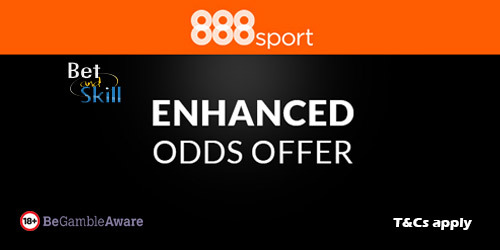 "Get 5/1 Real Madrid or 50/1 Tottenham to win at 888sport (Champions League price boosts)"